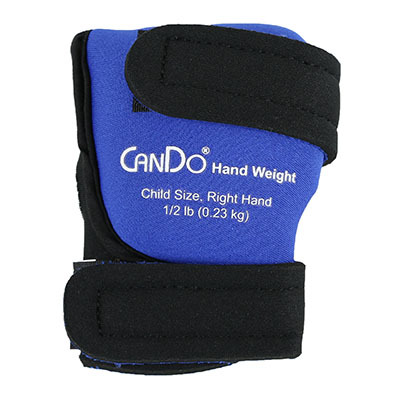 CanDo® Hand Weights provide extra hand and wrist stability during writing and other fine motor activities. They are designed to enable the use of all fingers when worn, while the weight rests on top of the hand. The weight is secured with a strap that wraps across the palm and wrist providing a secure fit. The hand weights are available for the left and right hands, ranging from 0.25 to 0.5 pounds. Sold individually. 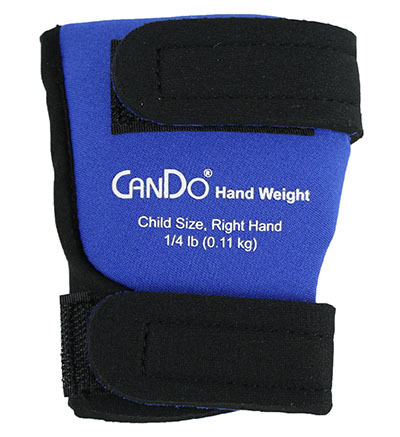 This listing is for one CanDo® Hand Weight, 0.25 lbs, Left. 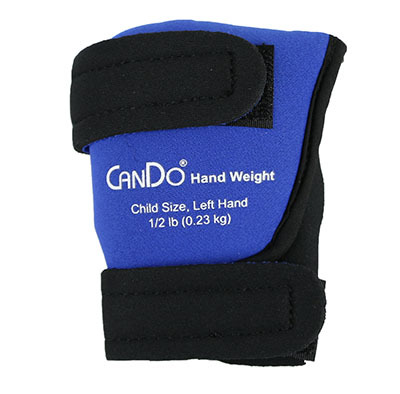 CanDo® Hand Weights provide extra hand and wrist stability during writing and other fine motor activities. They are designed to enable the use of all fingers when worn, while the weight rests on top of the hand. The weight is secured with a strap that wraps across the palm and wrist providing a secure fit. The hand weights are available for the left and right hands, ranging from 0.25 to 0.5 pounds. Sold individually. This listing is for one CanDo® Hand Weight, 0.25 lbs, Right. 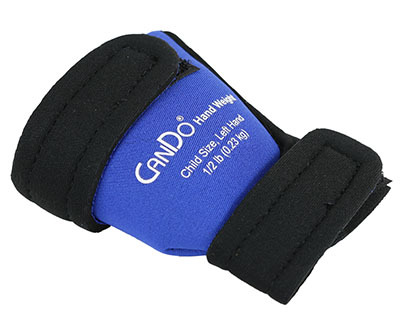 CanDo® Hand Weights provide extra hand and wrist stability during writing and other fine motor activities. They are designed to enable the use of all fingers when worn, while the weight rests on top of the hand. The weight is secured with a strap that wraps across the palm and wrist providing a secure fit. 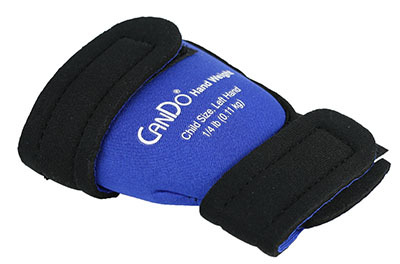 The hand weights are available for the left and right hands, ranging from 0.25 to 0.5 pounds. Sold individually. 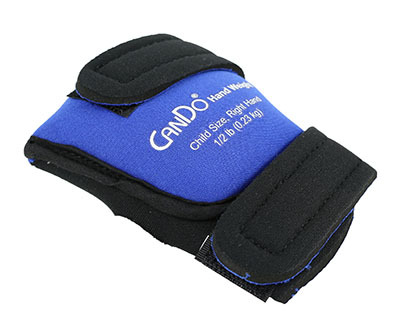 This listing is for one CanDo® Hand Weight, 0.5 lbs, Left. 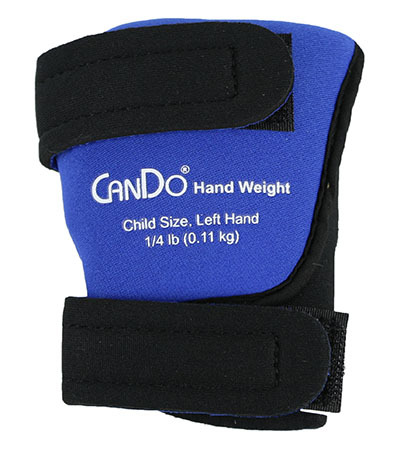 CanDo® Hand Weights provide extra hand and wrist stability during writing and other fine motor activities. They are designed to enable the use of all fingers when worn, while the weight rests on top of the hand. The weight is secured with a strap that wraps across the palm and wrist providing a secure fit. The hand weights are available for the left and right hands, ranging from 0.25 to 0.5 pounds. Sold individually. 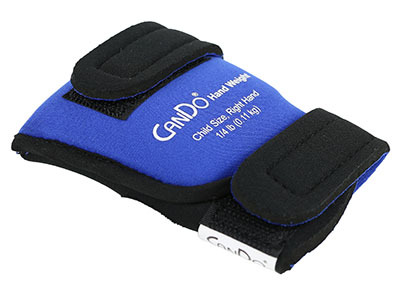 This listing is for one CanDo® Hand Weight, 0.5 lbs, Right.